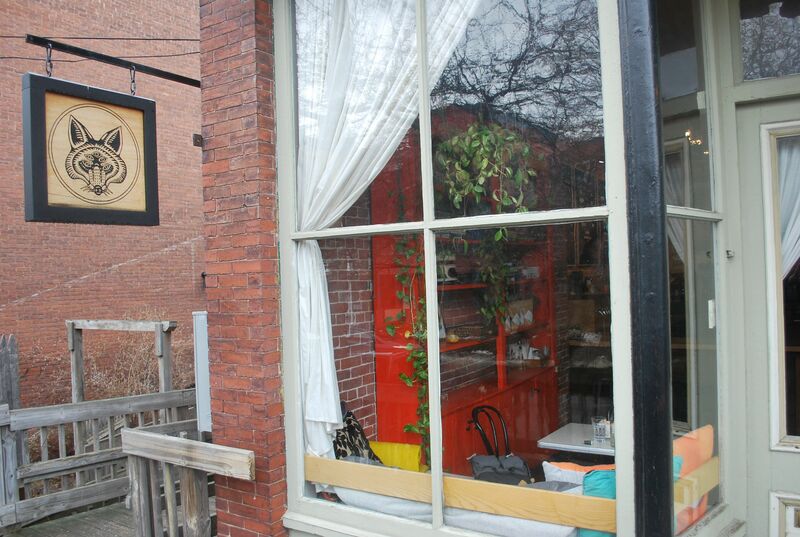 Turners Falls experiencing a renaissance. It wasn’t always such a bucolic village. 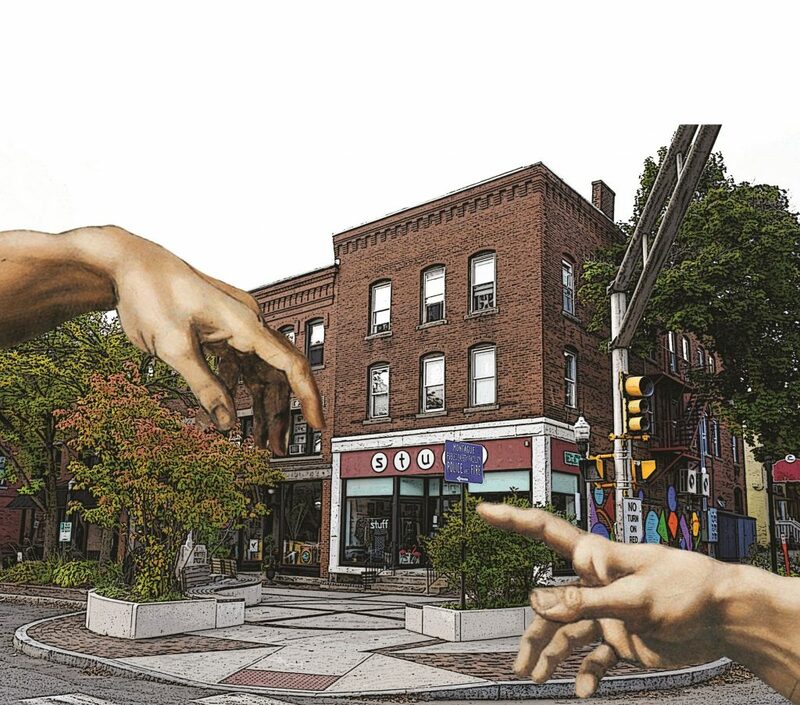 Turners Falls, a village in the town of Montague has undergone a renaissance during the past decade. 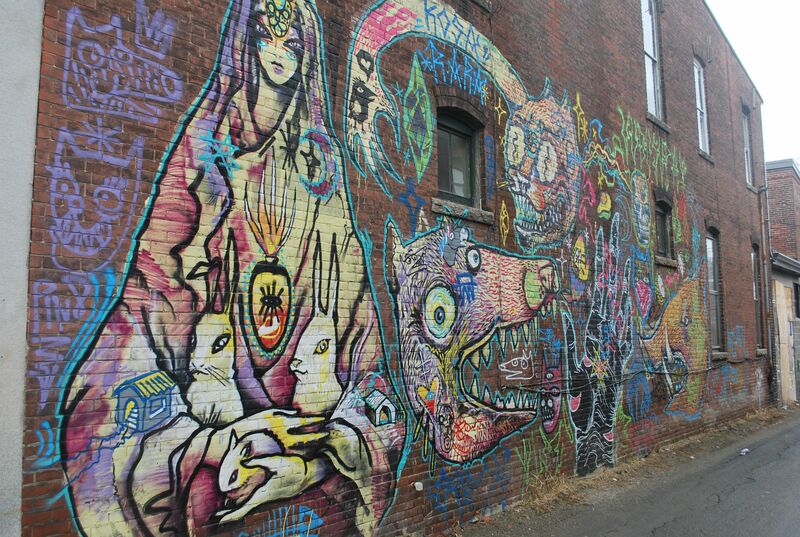 Where there was once empty storefronts, there’s now a vibrant downtown with a plethora of restaurants, a thriving arts community, a steady growth in new businesses. 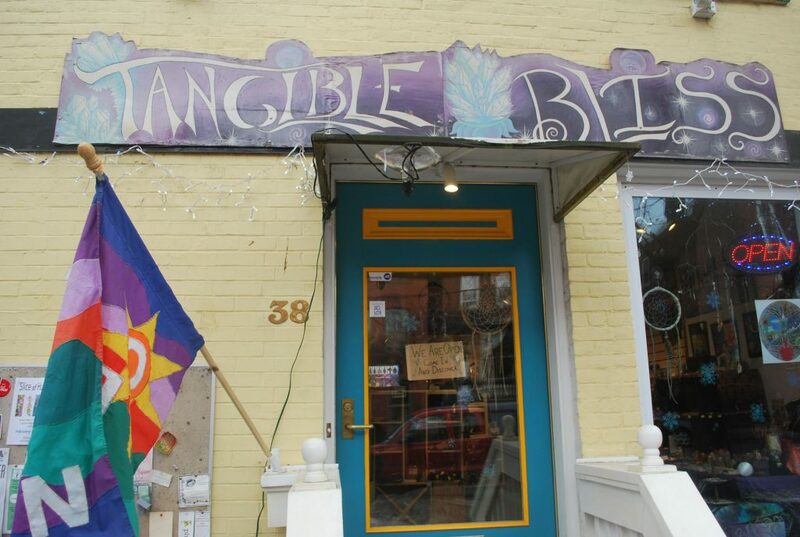 As you walk through downtown Turners Falls, you might notice stores such as Nina’s Nook and LOOT found + made, which sell work by local artists, or eye-catching restaurants like Five Eyed Fox or the Rendezvous. There’s a pinball arcade called Mystic Pinball and, since 2015, Brick & Feather Brewery has been part of the village. A couple doors down there are businesses that have been in the village for decades like Ed’s Barber Shop. Nearby the downtown, the scene is set with a picturesque view of the Connecticut River. However, Turners Falls had a different reputation throughout the 1980s and 1990s as an area plagued with crime and a struggling local economy after it lost its industrial paper mill base — five out of six of the large brick mill buildings in Turners Falls were shuttered, some of which dated back to the 1800s. The last mill recently closed in January after the Southworth Paper Company filed for bankruptcy. Village officials were concerned with rampant crime during the 1990s, according to archival news stories from the Greenfield Recorder. 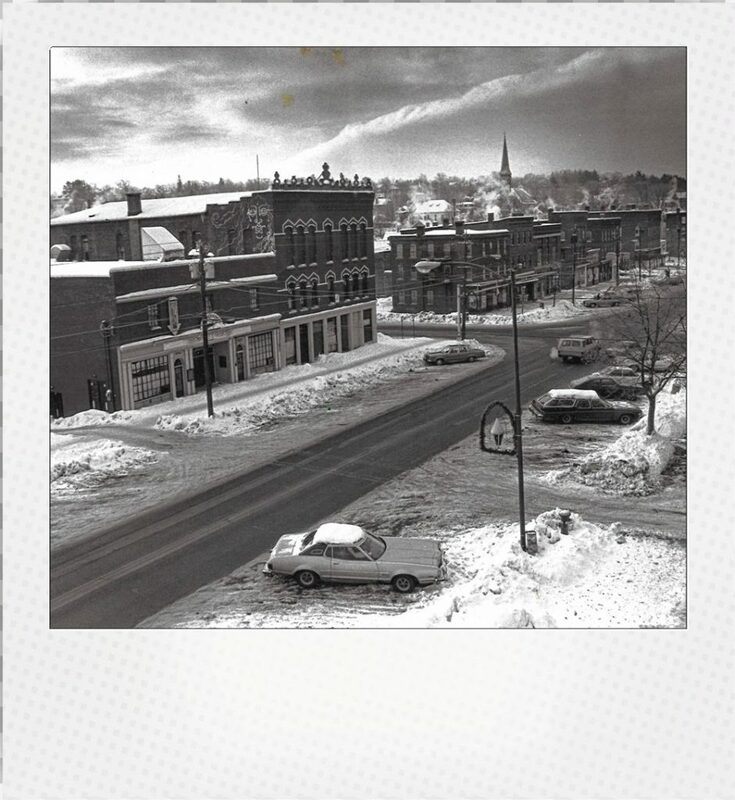 In one article, “Tackling a town’s problems” written by Recorder staff reporter Diane Broncaccio in October 1997, it reads that monthly discussions about changing Turners Falls’ reputation took place over the course of a year. Another story from 1996, also written by Broncaccio, addressed the concerns of business owners regarding gangs of youth carrying guns or knives and frequent drug deals taking place downtown. From that same year was a news article by Broncaccio about how a group of 20 elderly residents all admitted that they felt unsafe walking through downtown Turners Falls after dark when asked by then-Montague Police Chief Patrick O’Bryan. Most recently, Turners Falls and the town of Montague made headlines for its former Police Chief Charles “Chip” Dodge who admitted to receiving treatment for opioid addiction for several years and denied mishandling dropbox medications, according to the Greenfield Recorder. Dodge resigned on March 5. 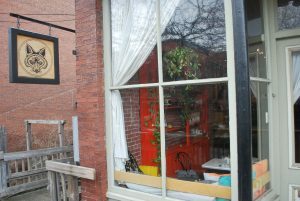 Despite the community’s challenges, Turners Falls has undergone a metamorphosis during the past decade and half, which Montague Town Planner Walter Ramsey said has been spurred by several different factors such as the restoration of historic buildings that were on the verge of demolition, most notably the Shea Theater, state grant funding, and cheaper housing compared to other communities in the Pioneer Valley. Turners Falls has also been making improvements to the downtown area, whether that’s the renovations at Spinner Park, a small park with flowers, hedges, and benches nestled between storefronts that features a bronze figure of a female textile worker at its center or the creation of Franklin County’s first skatepark, Unity Skatepark, located nearby the riverfront, Ramsey said. A strong relationship with the Franklin County Housing and Redevelopment Authority has helped preserve historic buildings in downtown Turners Falls such as the Crocker and Cutlery buildings, which Ramsey believes was also a factor for revitalizing Turners Falls. “The level of energy and activity, not just business, but social and cultural energy and activity that’s permeating this community right now is part of what inspired me to serve as town administrator to in some small way to contribute to that momentum,” said Ellis, who became town administrator more than a year ago. He said the village’s center looked like a lot of other economically depressed mill towns during the 1980s. 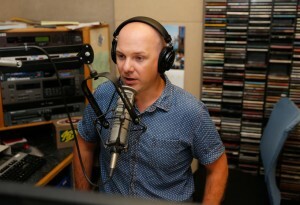 “We were certainly searching for a different identity, one that signalled energy, vitality, positivism, hopefulness, and over the course of the last 25 to 30 years, those things did take root … There were a lot of residents and a lot of people in town government who simply weren’t ready to settle quite frankly and you see the results,” Ellis said. 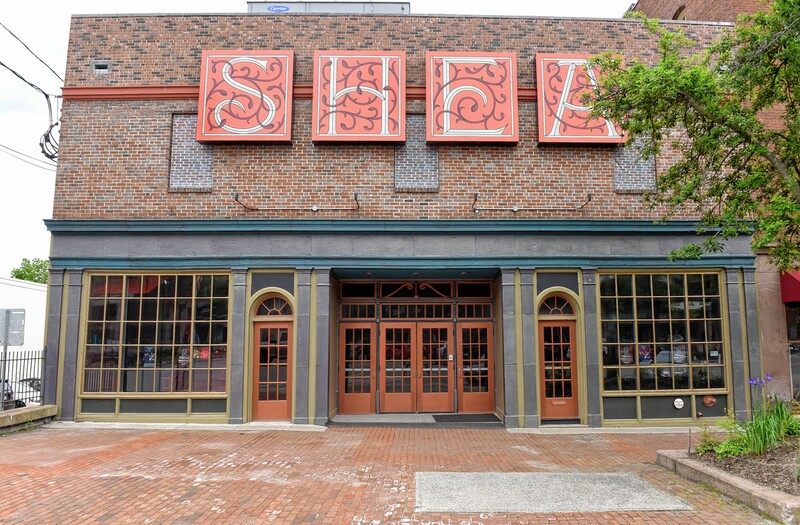 One of the most prominent locations in the downtown area is the Shea Theater Arts Center, a 1927-built movie theater designed with the architecture of silent movie-era Hollywood in mind, which is now an entertainment venue where you can find a wide variety of music and theatrical performances. Famous comedians such as John Hodgman and Eugene Mirman, folk singer-songwriter Anais Mitchell as well as rock acts like synth-driven experimental pop group, Rubblebucket, have all played the Shea Theater in recent years. 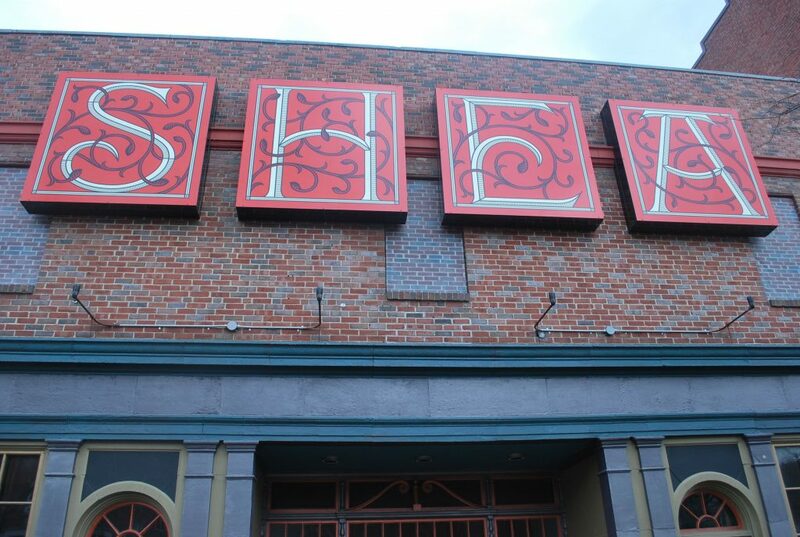 The Shea has undergone renovations across the decades with the most recent one taking place in 2016 as a new board of directors took the helm of the community-oriented theater and arts center. 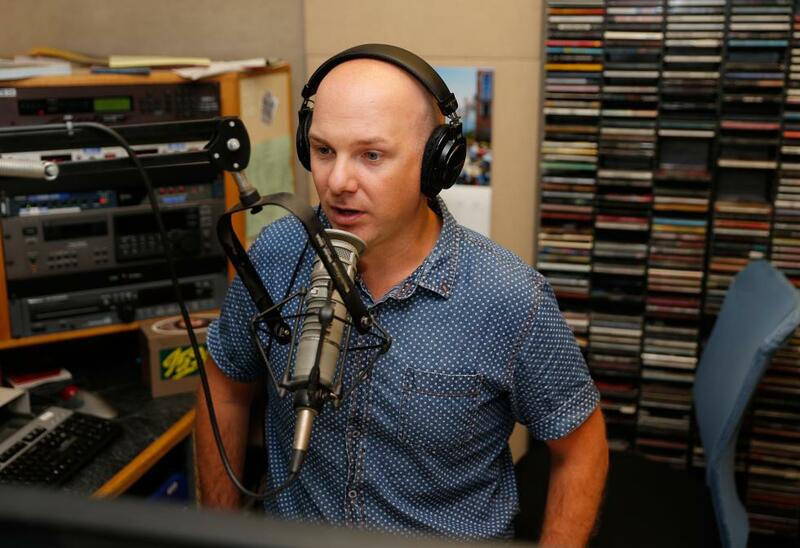 Monte Belmonte, a local radio morning host and manager of WRSI 93.9 The River, is the president of the Shea Theater’s board of directors, said he thinks the community has been energized by the arts scene, which has attracted residents and business owners to the village. “It’s funny, when you talk to people to people who grew up in that era, they’re like, ‘Turners! Forget it! 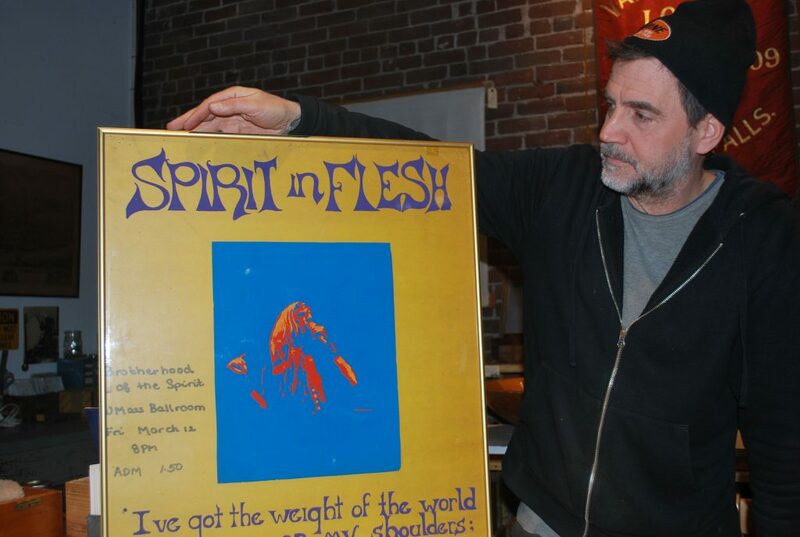 I’m never going there,’ and I say, ‘You should check it out, we’ve got a pinball arcade, man. It’s a little bit different,’” he said. Before the new board of directors took over the Shea as a nonprofit organization, the theater was owned by a coincidentally-named commune called the Renaissance Community throughout the 1970s, which used the venue for its recording studio and as a place for religious activities, according to the Shea’s website. John McNamara, co-owner of LOOT found + made, which specializes in artisanal handmade objects, whether that’s tables, benches, bowls, jewelry, or mittens, said his first experience of Turners Falls was seeing the Renaissance Community-led Shea Theater when he was a kid in the 1970s. “I was a little kid and I was like, ‘Wow! What’s going on here?’ and my mother said, ‘The hippies took over the town,’” he said. 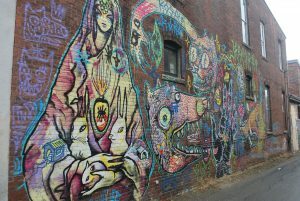 The Renaissance Community, was one of the biggest and longest-lasting communes in the Northeast and was led by Michael “Rapunzel” Metelica during it’s 20-year history. Metelica passed away in 2002, according to Acorn Productions, which created a film about the commune. 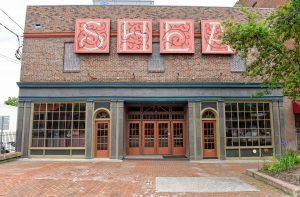 In 1986, the Renaissance Community sold the Shea Theater to the Franklin County Community Development Corp, which launched a restoration of the Shea, completed in 1990 after residents raised $200,000. Belmonte said he moved to Turners Falls a decade and a half ago because the community was affordable to buy a home. “We could buy a house for less than we were spending on a tiny apartment in Amherst,” he said. Fifteen years ago, there wasn’t much happening in Turners Falls, but then Turners Falls RiverCulture was born, which allowed arts events such as the Leftover Laundry Fashion Show at Suzee’s Third Street Laundry to take place, Belmonte said. When the Rendezvous, a restaurant and music venue, opened its doors a decade ago, that was a game changer for Turners Falls, Belmonte said. The venue continues to be a place where you can catch local original music every week. Lake Street Dive, which has been signed with Nonesuch Records, a label with other artists such as Joni Mitchell and the Black Keys, was first discovered at the Rendezvous and is coming back to Turners Falls to play an already sold-out benefit show for The Shea on May 5. The band has previously performed on the Colbert Report as well as The Late Show with David Letterman. Ramsey described the RiverCulture program as a partnership of leaders from the arts and business community that has played a vital role in the renaissance of Turners Falls. The program has been state-funded for the past 11 years, but funding ended this year. Now, the town of Montague is calling on residents to continue the program by hiring a cultural coordinator for the community as part of the town’s budget, which will be voted on at this year’s Town Meeting in May. Nina Rossi bought a home in Turners Falls in 1987 and raised her family in the community. One summer night, decades ago, she was discriminated against because of the negative reputation of Turners Falls. 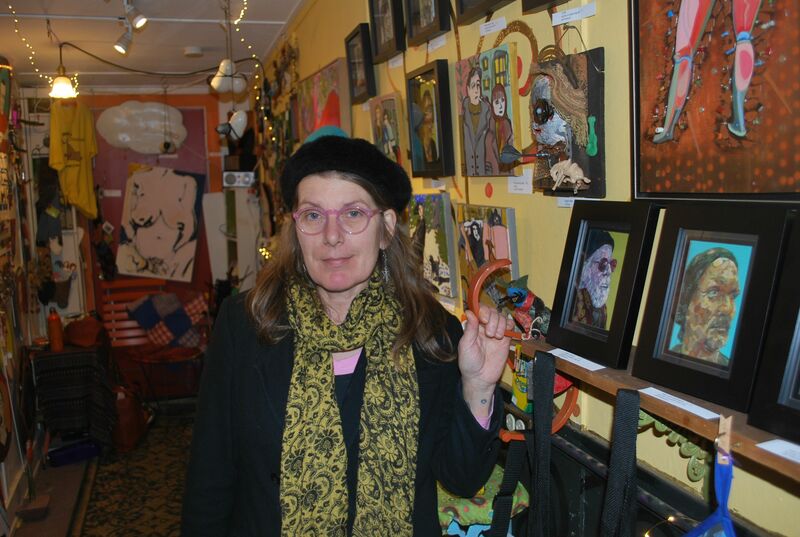 Now, Rossi owns her own business in downtown Turners Falls — a small art shop featuring work by Rossi and other local artists inside a minuscule but vibrant space called Nina’s Nook, which opened in June 2012. 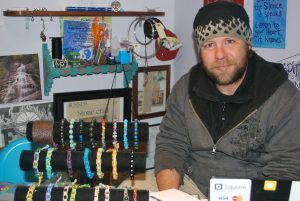 Jae Roberge grew up in Turners Falls and now owns Tangible Bliss, a gemstone and jewelry art shop. He had been selling his jewelry art on the road for a decade before deciding to come back to his hometown and set up a storefront with his partner and co-owner Kara Mondino in 2016. He said he believes the Turners Falls renaissance took place because a lot of out-of-towners decided to make the community their home. 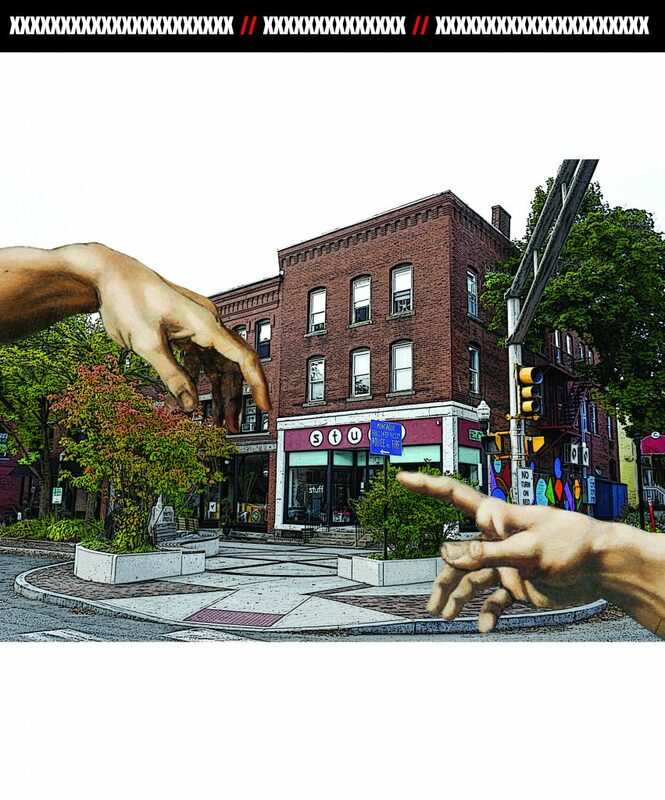 Ashley Arthur, owner of Five Eyed Fox, a restaurant and bar in downtown Turners Fall, opened her business in the fall of 2014 and decided to move from Central Massachusetts to start Five Eyed Fox in the community because of the village’s unique charm. During the past four years, there’s been several new shops that have opened and most of the previously empty storefronts have businesses in them, Arthur said. Outside the village’s main grocery store, Food City, several Turners Falls residents on March 8 spoke about how their community has changed during the past decade and a half. Leslie Brown, who’s been a resident since 1977, said she’s proud of how much her community has been able to develop since moving there. Brian Bouchard moved to Turners Falls four years ago. He said he’s originally from Deerfield and left his Section 8 housing in Greenfield to move to the village. That same day at the Rendezvous, Meagan Veitch, a three-year resident of Millers Falls who’s lived in Franklin County most of her life, said Turners Falls had a bad reputation when she was a kid in the 1980s. Veitch said she thinks Turners Falls is open to having more new businesses, which is one part of its success. “They seem much more willing to say, ‘Yes. Please come here. Please bring your ideas. Please bring revenue,” she said. She said the community’s negative reputation was centered around drug abuse happening in the community, but noted that the opioid crisis is a problem today that impacts most towns and cities in Massachusetts. Those challenges still continue, in some ways, for Turners. Former Montague Police Chief Charles “Chip” Dodge resigned following an investigation into alleged violations of the Law Enforcement Code of Ethics, including drug-related violations. The Montague Police Department was suspended from the regional Anti-Crime Task Force, which deals with drug-related crimes in Franklin and Hampshire counties, in July 2016 after Dodge was investigated. A report by investigator Alfred Donovan stated that Dodge committed 18 violations of the Law Enforcement Code of Ethics, including that he never informed his officer-in-charge that he had been receiving treatment after becoming addicted to oxycodone. Montague was invited to return to the task force after Police Chief Dodge resigned on March 5, according to the Greenfield Recorder. Although Dodge resigned, he will remain on paid administrative leave through Feb. 12, 2019. His annual salary is $105,000. The future of Turners Falls lies with the redevelopment of its aging former mill buildings. Ramsey said the village’s vision over the next four decades is to see those buildings reborn as new businesses. One such business is a cidery that’ll be located in the historic Mill No. 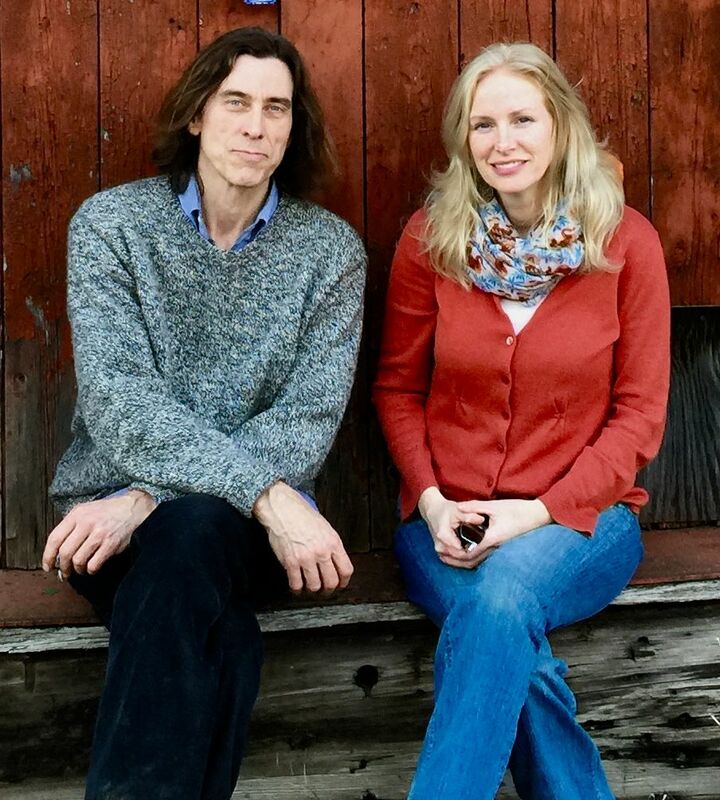 2 Building in Turners Falls called Wild Child Cellars set to open this spring. The co-owners of the cidery are Curt Sheerer and April Woodard, who have been in the cider business for years. They searched for months across Western Massachusetts and the former mill building ended up being the perfect spot for fermentation to bring their vision of a cidery with live music and entertainment as well as community geared activities to life. The building consists of 25,000-square feet, Sheerer said. The cidery will be in the basement, while a taproom will be located on the first floor. The architecture of the former mill consists of large brick arches that date back to the 19th Century, while the building itself is right next to a canal leading to the Connecticut River. “It’s a space like no other around here,” Woodard said. The cider bar and taproom will be about 1,400 square feet and adjacent to that will be a 5,000-square-foot event space with partially laid marble floor that they plan to fill with work by local artists, she said. Sheerer, who owns a cidery in Maryland called MillStone, said he and Woodard were looking for a location that’s cold and damp, which is an important factor for the fermentation process of their cider. Sheerer said the cidery will be located in the basement of the mill building and will be a “rustic style” — the way in which people made cider more than a century ago. He said they’ll be using high maturity apples, which will be crushed, pressed, and then fermented in barrels without any additives combined with the cider. Woodard said since becoming involved with starting Wild Child Cellars, she’s seen momentum for growth and further development in Turners Falls. Sheerer said he thinks they are one of the last businesses to “slip in under the wire” in Turners Falls. “It’s reached a tipping point where I think things are really just going to start happening,” he said.